This 4th of July weekend will involve the traditional over-drinking and over-eating tradition that makes our nation so great. You’ll probably buy some chips, finger foods, and plop them on the table for your guests to enjoy. But when you spend hours making that special rub for your ribs, your guests recognize the effort you put into the dish and it comes out great and everyone shares it with each other leading to even more people eating the dish. 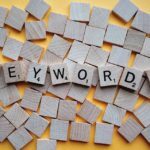 What does BBQ have to do with blogging, you ask? The more time and effort you spend on a blog post, the more it will get shared over social media. Plain and simple. For this July 4th holiday, after you’ve drunk too many beers and stuffed yourself with BBQ, lay on your couch and open your laptop and bring up your blog. 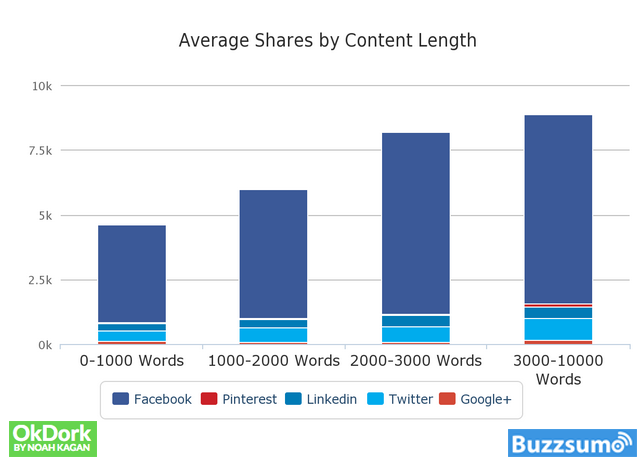 We wanted to share with you the top 10 tips that increase the “shareability” of your blog posts we’ve summarized from this BuzzSumo study. Here’s to a great 4th of July and blogging better! After BuzzSumo analyzed 100 million articles, here were the results they found which we think you should be aware of when writing your own blog posts. This also applies for writing sponsored stories on Cooperatize as well! Also a no-brainer, since your readers are very visual people and probably want to see some great pictures with the great story you’re writing. To go a step further, add the social media tags to further increase the shareability of your stories. Usually after you’ve published a post and are ready to post it on your blog’s Facebook page, Facebook automatically pulls up an image from the post as the thumbnail, but you can further customize the image through social media tags. Same thing applies for Twitter too, so add photos to your Tweets! Notice how we turned this into a “Top 10” list type of post? The original article didn’t call their list a “Top 10”, but just to prove this tip we turned it into a listicle. 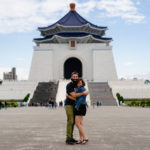 Having said that, all your posts should not be listcles or inforgraphics since readers may start feeling fatigued from reading these types of formats on your blog. Definitely mix it up with great long-form content! We are obviously going against this tip with this article at 7 tips, but people like the number 10 more than the number 23 (the 2nd most popular number for items in a list). A byline is simply a short bio about yourself that you add to the beginning or end of your post. Why is this important? Your background instills trust in readers and they will more likely share your stories if they know and trust who the person writing the story. This tip doesn’t really apply to Facebook according to the study, but definitely makes a difference for LinkedIn, Twitter, and Google+. This is one of the reasons why Cooperatize exists! We know you are all influencers in your field and we work with brands that what you to share their story with your readers. To take it to the next level, you need to get your own stories shared by people you consider influencers in your industry or topic. Some ways to get influencers involved is by asking them for quote, getting them to contribute some editorial to your story, or simply linking to other posts written by the influencers themselves. You know that feeling right after you’ve published a great story: the traffic is great for the first two days but slowly dies down as the days go by. Your story has more legs than you think! If you have written a sponsored story with Cooperatize, you have probably noticed the bonus calculator that encourages you to share the post with your audience after the story goes live on your blog. We do this to encourage you to revitalize the story to get more shares and likes across your network. It also helps you earn some extra revenue for writing and publishing the story! Writing evergreen stories also ensures your stories can be re-shared since there is no time associated with the story. An evergreen story is something like “Top 5 Ways To Make Great BBQ” versus “Top % Ways To Celebrate July 4th.” The second headline is seasonal, whereas the first headline can be useful anytime of the year. Unless, of course, you live in the Artic where not much barbecuing is taking place. 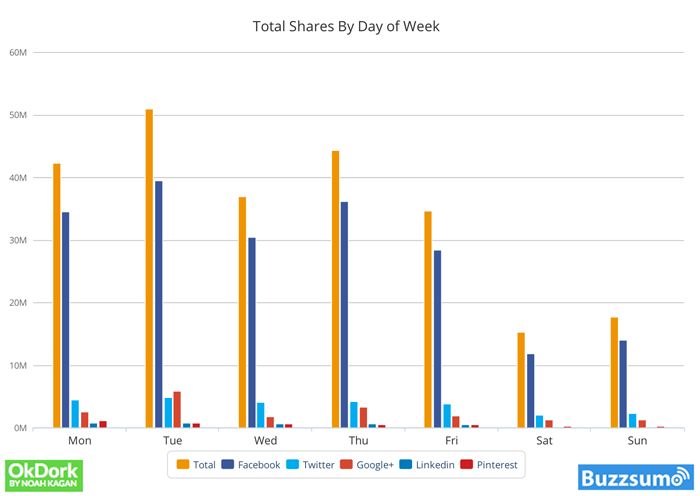 The graph below from BuzzSumo clearly shows that most content is shared during the week, with the lion’s share occurring at the beginning of the week. We are obviously breaking that rule here with this post before the July 4th weekend. That’s it! Have a great 4th of July weekend and we hope these quick tips will help your content get shared more over the next few weeks! Is it applied to all countries? Such as the long content will have more share opportunity? According to the original study, it does appear this applies to all countries! We would be surprised if this only applied to certain countries!